Right, I first need to make this clear. This is not a 100% Serious mod. What do I mean by that? Well, this is just something I found I could do the other night and I've been having fun messing around with. I don't plan on keeping this updated indefinitely or anything. I mean, I'll fix an issue if it's present but don't expect me to be trying to maintain this every patch, especially if WG Suddenly makes it so I can't even edit them without crashes. 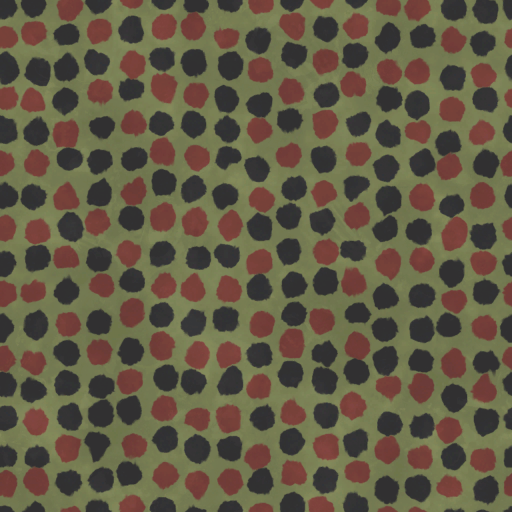 Oh and, I mentioned in my custom camouflage thread that I'm working on something of a replacement to it. That's still in the works, but I've been distracted by a few things and am also still working on other parts of it, but it's definitely not been put off entirely just yet. Anyway, as I said and implied by the title, I only just found out the other night I could edit the colour values for the customisation paints. So, as you do, I decided to mess with the colours. Initially I was just planning on changing a few I didn't like, but then I decided to start modifying almost all of them. Some of the colours are based historically while others are not. Included as well are a few colours taken from FastestClassic's skin packs, so an obvious shout out to him. Do note that the icons in the garage have not been changed, so that may be a bit confusing. I might work on replacing them to match my new colours, or I may not. As of right now, the colours aren't entirely final, there's some I still plan on swapping around as I'm not 100% Happy with them as is and of course I'm open to suggestions on changes. I of course also have the Poles to mess with depending on either if I Free-XP to Tier VI (which is a huge waste IMO So I'm really not planning on) or I wait for the next Test Server. Finally before I post a download, I advise being a bit lenient on buying paints just based on my replacements, for fairly obvious reasons, but what you do with your Gold is up to you really. I do of course recommend if you have Notepad++ or whatever to mess with them yourself. If you want a clean version I could either upload one or you could grab it yourself, but in the latter case you need to remove the xmlref line at the very top. Edited by Desyatnik_Pansy, 01 April 2019 - 09:34 PM. Well first test. I may colour-swap and crap but I'm no artist. As always let me know if there's any issues. Edited by Desyatnik_Pansy, 22 February 2019 - 03:03 PM. If it's familiar, the 5th colour is FastestClassic's Polish grey green while the 1st is my AFV Green. Just a warning. After playing some 50-60 Battles and no issues, I had two games yesterday where I failed to load in until I moved the customisation folder out of my res_mods. Unfortunately I'm not sure what causes the issue, I had assumed it was to do with certain tanks in those games since I hadn't seen many but I can load replays with those tanks just fine (except the games where I couldn't load in of course) and no other tanks stood out as being rare enough that I had simply not met one until then. Not sure what the issue is, not sure if it's something I can even fix, so yeah, just letting you know. I'm gonna keep playing with it to see how much I otherwise get crashes but who knows, maybe it was a shortlived mod. It'd be a real shame to have had absolutely no issues for a fair number of battles only to suddenly not be able to load in every second game. I hope you manage to get it sorted. It's been narrowed down now at least. I went and grabbed the list xml again and there's a few more lines than before. Arguably I should've checked this first but I wasn't actually aware there was an update or something that added anything new, so that's an error on my part. I'll be updating it a bit later today after playing a session just to be certain. Edited by Desyatnik_Pansy, 04 March 2019 - 05:33 PM. Updated to v1.03 Now, though it's just fixing rather any additions (since, I mean, what edits can I make anyway now? ). If there are any further issues let me know, but the issue I had should no longer be a problem. Updated to v1.04. I modified a few paints slightly (you can see the changes in the lower part of the preview image now, which I've also added below for convenience) and updated the xml so now it works with this patch, aka, paints can also be applied to Tier VIIs. Let me know if there are any issues. Title changed to just "Paint Edits" because it's easier that way to separate it from my customisation edits as a whole thread. Also modified the first and second Polish colour, hence updated it to v1.05, but I'll have to post the image with the modified colours tomorrow. EDIT: Updated image added to the OP Now. The reason behind the change is to support my customisation edits as a whole, since I used the Polish colour 2 for the British Gold Style and wanted to make it more accurate as the original colour was too dark. However I did like the original, so maybe in the future I'll swap it to a different colour instead and return the original. Upcoming changes with 1.5. Since the paint system changed (namely, available to all tanks now, hurrah!) I won't be uploading the update just yet since it wouldn't work, and I'm not updating the existing one to reflect the changes if 1.5 Is just around the corner anyway. -the Chinese colour is actually colour 3, not colour 1; mistake on my part that I'll fix later. It's more a quality of life change, it shouldn't actually look much different but is less overly saturated.